The Smithsonian Institution's River Basin Surveys and the Interagency Archeological Salvage Program were the most ambitious archaeological projects ever undertaken in the United States. Administered by the National Park Service from 1945-1969, the programs had profound effects-methodological, theoretical, and historical-on American archaeology, many of which are still being felt today. They stimulated the public's interest in heritage preservation, led to the passage of the National Historic Preservation Act, served as the model for rescue archaeology in other countries, and helped launch the "New Archaeology." This book examines the impacts of these two programs on the development of American archaeology. 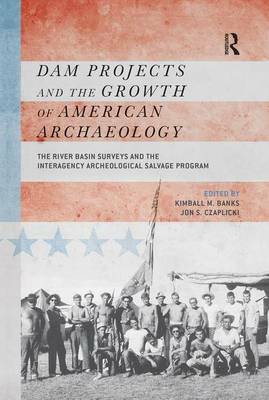 "This volume deals with efforts to mitigate the impact on historic resources by the Flood Control Act of 1944, which resulted in the construction of more than 500 dams and reservoir areas in 43 states, and hundreds of miles of levees. Salvage archaeology was conducted to secure minimal information from historic resources destroyed during the project; the National Park Service supervised the Interagency Archaeological and Paleontological Salvage Program (1945-75). That program transferred survey and salvage funds to the Smithsonian Institution, which oversaw the River Basin Surveys (1945-69). The federal agencies were ultimately assisted by 77 organizations, with more than 2,600 published and unpublished reports resulting. This work is seen as ancestral to today's cultural resource management programs. ... Summing Up: Recommended. Graduate students/faculty/professionals."